Last weekend, I ran the Plaza 10k, and had a 31 second PR! Read my race recap here! I’m also still doing the September Run Streak, and have ran 18 days in a row! Before this month, 5 or 6 days in a row was the most I’ve ran… it has been really fun doing a run streak. I’d seen others do run streaks before, and they never really appealed to me, because I love my rest days! Now that I’ve run nearly 3 weeks in a row, it has opened my eyes to a new challenge, and I’ve enjoyed it! A running club in KC tweeted this to me, and it made me smile the other day. James and I ordered a new print to hang above our fire place. It came this week, and I LOVE IT. It is gorgeous… and the different lighting throughout the day and evening makes different parts stand out. I feel like such an adult, ordering art and hanging it above the fire place. Who would have guessed, art over the fire place. Jasper has taken over the box that the painting came in. James tore the edges and set it on end, like a tent. He’s a happy kitty. There are a few toys in there. We’ll have to keep the box forever. Mom and Dad are visiting this weekend, and we’ll see the Royals play Detroit on Saturday. Grandpa was supposed to come too, but he’s dealing with some medical issues and is staying home to stay healthy and get stronger. I’m sad he won’t be able to visit, but we are going home next month and will get to see more family then. I’m really excited to see my parents, it’s been over a month since I have seen them, by far the longest I’ve ever gone without a hug from my mom! I’m going to the KCRC Groupies run tonight, and should be able to bring Mom along for the Sunday Runday Groupie Run, which I think will be awesome!! I find myself looking forward to Thursday nights, for Groupie runs and to post my weekly Thursday Thoughts! 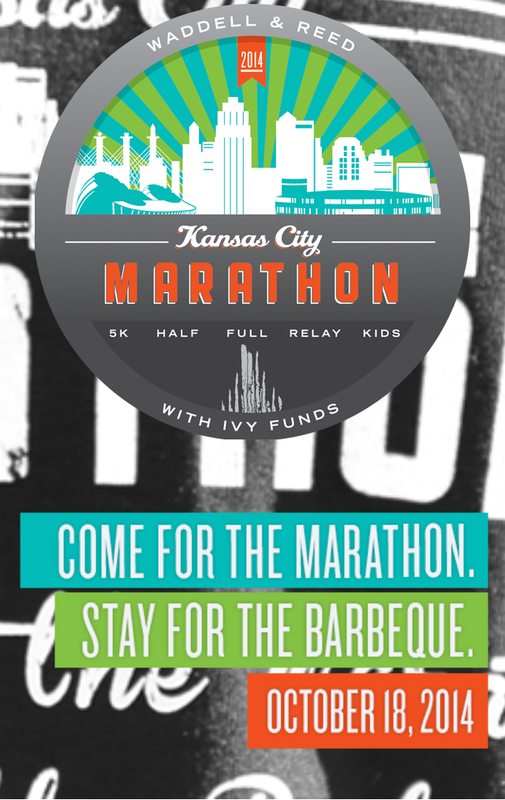 The countdown begins… 1 month until the Kansas City Marathon 1/2 Marathon! Eeeekk! I have thought about going into the half with a run/walk strategy, but after PRing my 10k I kind of want to see how far I can run and if I can PR the half also… But part of me (the realist part of me) knows a PR is all but out of reach with the running shape I am in, and if I run/walk it will be a much more enjoyable race. I guess I have a month to decide, and a month to see where I can get my fitness. Are you running a fall race? What is your best distance? This entry was posted in Ramblings and tagged Art, half marathon, Kansas City Marathon, KC Royals, KCRC Groupies, painting, Royals, Thursday, Thursday Thoughts. Bookmark the permalink.